I’ve been a HUGE fan of Perricone MD products for a few years now. They have something to solve almost any issue you have with your skin ranging from acne to wrinkles and everything in between. Now, Dr. Perricone has new line called SUPER by Dr. Perricone that focuses on using “superfoods”, that are loaded with healthy skin essentials such as Omega 3 Chai and capsaicin pepper to help you achieve healthy and supple skin. 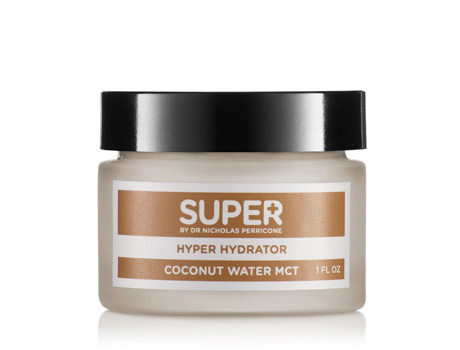 The only product I’ve had the pleasure to try from SUPER is the Hyper Hydrator. However, don’t let the name fool you like it did me. I was a little apprehensive to select this moisturizer, because the name made me think that it was super moisturizing and better suited for people with dry skin and not my combination and mostly oily skin. Instead, after reading that it was light formula that left a matte finish, I knew this would be perfect for me and it is! 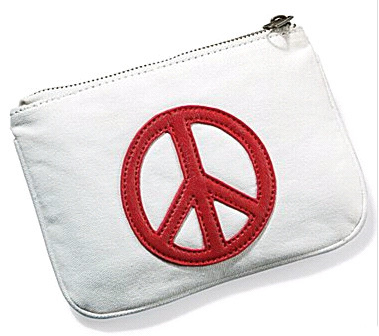 It’s really lightweight, absorbs easily, and leaves a matte finish. Basically, it does everything it says it does! Want to win a product from the SUPER by Perricone line. Well, leave a comment below telling me which product you would like to try and why. You can enter as many times as you like by August 29th. Good Luck! London seemed to have stepped back into the swinging Sixties when the top designers showcased their fall collections at London Fashion Week (LFW) earlier this year. Inspired by the preppy mod look embraced by the liberated youth of the decade, colours were bright, hems were short and cuts were tightly tailored. Some of Britain’s biggest fashion houses, including Burberry, Mulberry and Paul Costello, put the fun into fashion with this vibrant trend. 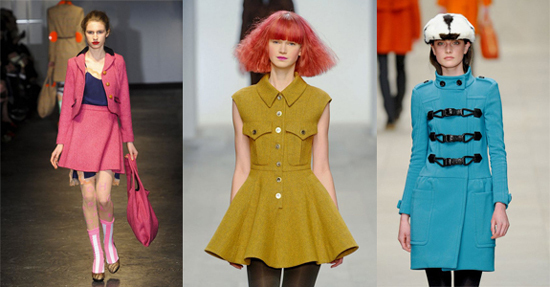 Get the look with swing coats, flared dresses and cute collars. 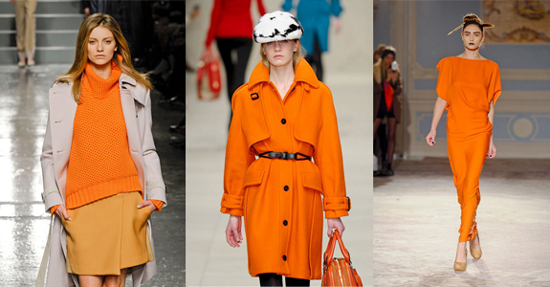 The ‘it’ colour on the LFW fall catwalks, vivid orange – or ‘marigold’ as it’s been coined by the British fashion press – is already brightening up window displays in some of the UK’s biggest high street stores. Aquascutum, Maria Grachvogel and Burberry were among the top names to champion the hue, transforming classic pieces such as the pea coat, chunky knit jumper and maxi dress with one statement colour. Inject the colour into everyday outfits with accessories such as handbags, scarves and women’s shoes. The British are a theatrical bunch, particularly when it comes to fashion, and Victoriana and gothic themes brought the drama to this year’s fall shows. 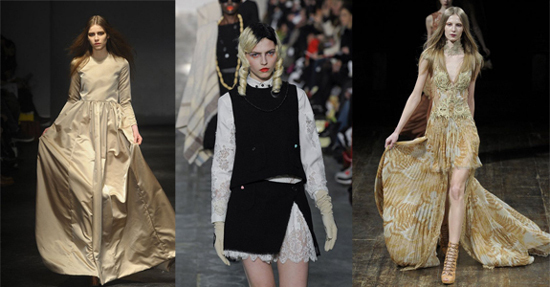 Long flowing gowns, opulent brocade and lace details and ethereal beauty were championed on the runways of Charles Anastase, Julien Macdonald and Meadham Kirchoff to name but a few. Invest in luxury vintage-style lingerie and wear with layered lace shirts and dresses and chunky boots for a grunge-inspired look. When it comes to make up, keep your base fair and finish with a slick of blood red lipstick. 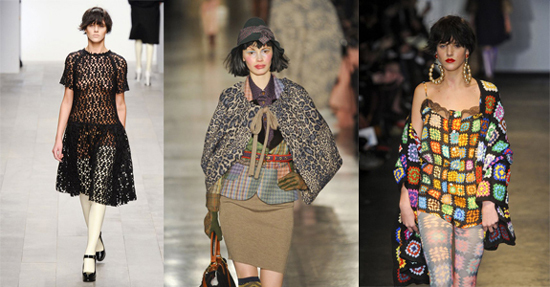 Playing on the image of English eccentricity and love of second-hand clothes, British designers Henry Holland, Vivienne Westwood and Betty Jackson have revived crafts and materials such as crochet and tweed for the fall. The quirky patchwork blanket effect we saw on shorts over the summer returns on cardigans, dresses and tops, and heritage fabrics are layered for an eclectic look. For a toned-down take on the trend, tweed looks timeless on women’s coats and blazers, and a simple black crochet dress makes the perfect new season LBD. 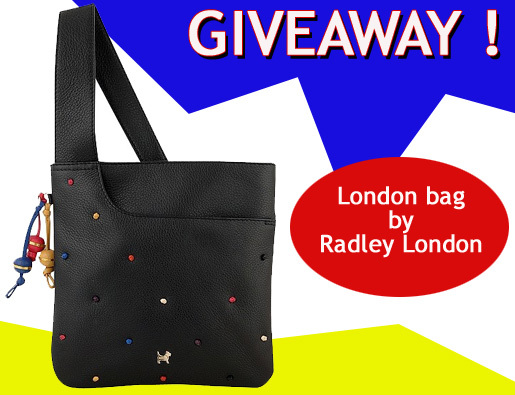 For your own slice of London style, enter our competition to win this super-cute Portobello pocket bag by Radley London. For your chance to win, simply follow the rules below. Be Facebook Fan of Stained Couture via that little box to the right. Leave a comment below or tweet me @stainedcouture on why you would love to win this bag. The contest ends on September 3rd and will pick a random winner. New month, but old news…IT’S HOT! Record-breaking heat is still prevalent across the country. However, there is a glimmer hope; Fall is coming! So, you will see plenty of fall worthy items. A. Hooded Leatherman Cardigan, $22.80, Forever 21 – What screams fall more than a letterman cardigan? However, this one looks like a jacket thanks to snap buttons and striped arms, reminiscent of a traditional varsity jacket. B. Brown Washed Leather Holdall, $140, TopShop – I need a “big bag” for everyday use. This bag is perfect, because it comes with handles and a strap for easy convenience. Also, I love the crinkle and slouchy look. C. Pumpkin Spinner Ashtray, $8, Urban Outfitters – For the past month, a friend of mine has been sofa surfing over at my apartment and he is an occasional smoker. Since I’m not a smoker, needless to say, my apartment was ashtray-free. He’s been using a semi-empty candle jar to drop his ashes, but I need to find something cute and discreet. This Pumpkin Spinner ashtray looks perfect. It’s white, chic, and looks to hide the ashes. D. Mossimo Crossbody, $24.99, Target – I went to Target yesterday and immediately saw, fell in love with, and tossed this bag into my big red cart. It stayed in my cart until I was near the register and realized that I don’t need to buy a new bag anytime soon. However, all I could think about last night was going back to buy this bag. It looks a lot better in person, by the way. E. REPORT Bishop Pumps, $98.95, Nordstrom – Brown loafer pumps. Probably one of the must-have shoes for any fall wardrobe. To win, all you have to do is visit jcp.com/pennies and join the challenge, either by registering or through Facebook. After that, begin donating virtual pennies. Everytime you donate, come back and leave a comment to let me know. After the contest ends on August 24, I will pick a random comment to determine the winner. So, basically, the more pennies you donate and the more comments you leave increases your chances. So, go enter now and get to donating. It’s actually pretty fun and easy! It’s hot, I constantly feel like I’m melting, and the less fuss, the best. So, this month lust-have list is continuing on my easy breezy summer lifestyle. NARS Body Illuminator in Laguna, $45, Sephora – I’ve been really impressed by NARS’ illuminators and I’ve always been a fan of the Laguna bronzer. So, this sounds like I could be a potential stan of this product. Printed Ruffle Chiffon Dress, $36.94, Old Navy – Yep, I’m still in dress mode, although I haven’t really been wearing dress, but still I’m yearning for them. This light yellow chiffon dress from Old Navy looks so light and easy. Just what the doctor ordered for me. Gray Quartz Ring, $42.75, All The Rage Online– I’ve been obsessing and pondering buying this ring. I love the natural texture of the stone and not to mention the chunkiness. Carlos Falchi Matte Microfiber Tote, $220, Saks.com– It’s a cobalt blue tote! A fabulous and big cobalt blue tote by Carlos Falchi! Love. Jeffrey Campbell ‘Esmerald’ Glitter Sandal, $64.95, Nordstrom– Probably the prettiest slide-on sandals I’ve seen in a while! I imagine that these are the shoes Cinderella would wear on vacation. Beautiful.